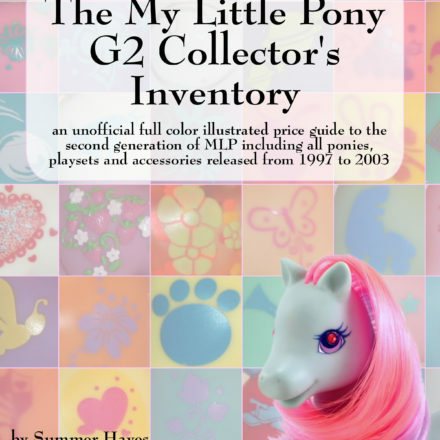 Priced Nostalgia is pleased to offer the following exclusive interview with Summer Hayes, author of The My Little Pony G3 Collector’s Inventory: an unofficial full color illustrated guide to the third generation of MLP including all ponies, playsets and accessories from 2003 to the present. Priced Nostalgia: What was the first My Little Pony item you ever had? Summer Hayes: Applejack! She was a gift from my grandfather for my second birthday. PN: What is the appeal of My Little Pony for you over any of the other toys you had as a child? SH: As far back as I can remember, My Little Ponies have always been present in my life. They were my first toys and always a favorite. I love their simplicity and the way they promote imaginative play among children. PN: At what point did you first consider yourself an MLP collector rather than just an owner? SH: I was probably as young as six or seven years old when I began to consider myself a collector. I had entered a scholarship contest sponsored by Hasbro where My Little Pony "Collectors" could send in a photo of themselves and their ponies for a chance at a $10,000 scholarship. I placed third in the contest and was sent a gigantic world map as a prize (sadly, ponies didn’t fund my college education). By the time the G1 line ended in the early 90’s, I had well over 500 childhood ponies. At that point, it seemed only logical to seek out the missing ponies for my collection. I started searching for ponies at yard sales and flea markets, but sometime in 1998 or so, I discovered online My Little Pony collector websites. Pony collecting became a hobby of sorts as I began buying and trading online to obtain missing collection pieces. PN: You’ve written this first book on the third generation of My Little Pony (G3) and have a second book in the works with Priced Nostalgia Press on the first generation of MLP (G1). Of the three, which is your favorite MLP generation? SH: I’d definitely have to say that the first generation (G1) ponies are my favorite. I have fond memories of opening pony packages on Christmas mornings, swimming with Sea Ponies in the pool, and eating peanut butter cookies with Masquerade after my first day of kindergarten. PN: The third generation of MLP has outlasted the second generation by a few years already. What do you feel is the appeal of this series over the ponies released in the late 1990’s? SH: I think part of their success is that the G3 ponies more closely resemble the original G1 ponies. Plus, Hasbro has been much more aggressive in marketing not only to children, but also to their parents (many of whom had ponies as children). PN: Other than My Little Pony, what other toys captured your interest as a child? SH: Teddy Ruxpin! I loved Teddy Ruxpin. 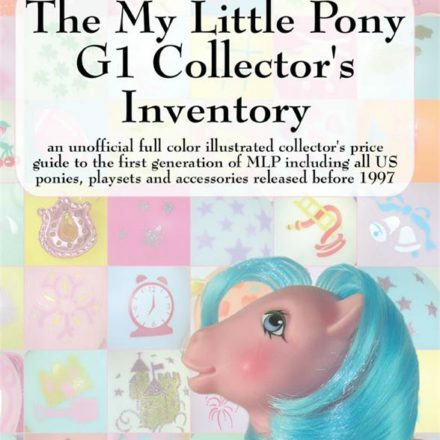 PN: Why did you decide to write The My Little Pony G3 Collector’s Inventory? SH: I started collecting the G3 ponies when they first hit stores. Soon, there were so many that I was having difficulty keeping track of their names and accessories. I needed a resource that would help me keep my collection organized as well as allow me to quickly identify my ponies. 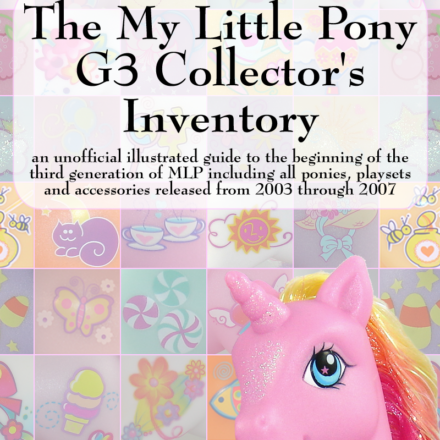 It seemed that other collectors could benefit from a G3 guide as well, so I started to write the My Little Pony G3 Collector’s Inventory. PN: You have both hosted and attended multiple pony meets and conventions. How does the community of other My Little Pony collectors fit into the collecting experience for you? SH: I’ve met many interesting people from all over the U.S., Canada, and Europe, that I would have never had the opportunity to meet otherwise. It is always fun to get to know others who have similar hobbies to your own. Plus, it is a great way to find others who buy, sell, and trade My Little Ponies. PN: Has there ever been a point in your MLP collecting that made you sit back and say to yourself, "OK, now this is getting to be a little much" either because of the price of the item or the sheer quantity of ponies? SH: There have been times in the past, when I’ve shyed away from purchasing certain ponies due their price tag. As with anything, you have to know your limits. I love ponies, but when a plastic toy is selling for the equivalent of a mortgage payment, you have to know it is time to walk away. I recently found myself feeling a bit excessive about my collection when I was packing it up to move from Indiana to Virginia. It took three months, lots of boxes, and way too much bubble wrap to get it all packed. PN: My Little Pony collectors often refer to their "grail pony" or the pony that they do not have but want to acquire the most. Who is your current grail pony? SH: My "grail pony" was Non So Soft Truly, but I very recently acquired her. Now, I’m wanting to find Non So Soft Brazilian Paradise, or maybe Rosey Posey. 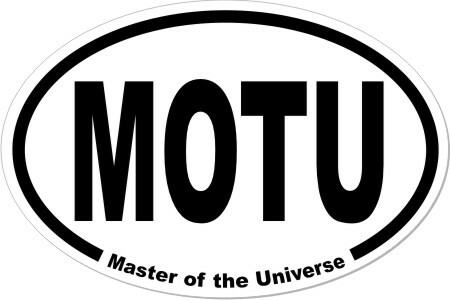 NextYou say pogs, I say Milk caps. You say Slammer, I say Striker. Let’s call the whole thing off!